"Beautiful detail! 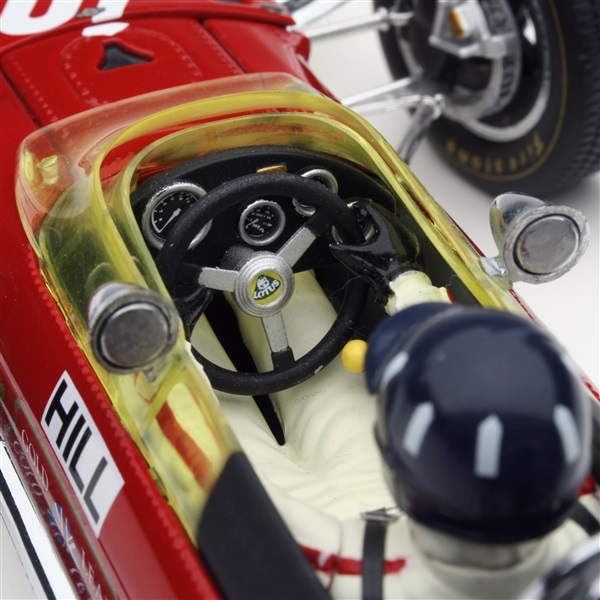 I have a collection of 1:18s but your cars are one step above that!" "I just wanted to say that you guys produce AWESOME models. 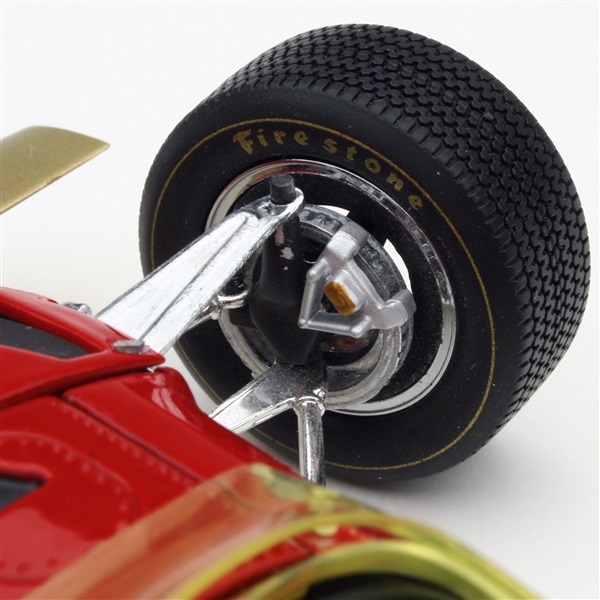 After viewing your website, I am going to start my own collection, starting with the Lotus 49B. Thanks for offering such fine products!" With 79 Grand Prix victories, 7 Constructor's Championships and 6 Drivers championships in F1, Colin Chapman's Lotus cars have become legendary. 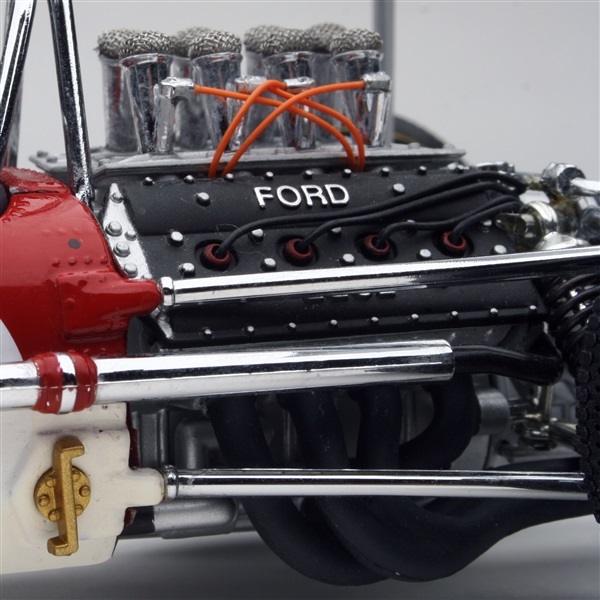 The match-up with the Cosworth Ford V-8 power plant in 1967 was the crowning achievement that dominated Formula 1 through 1975. 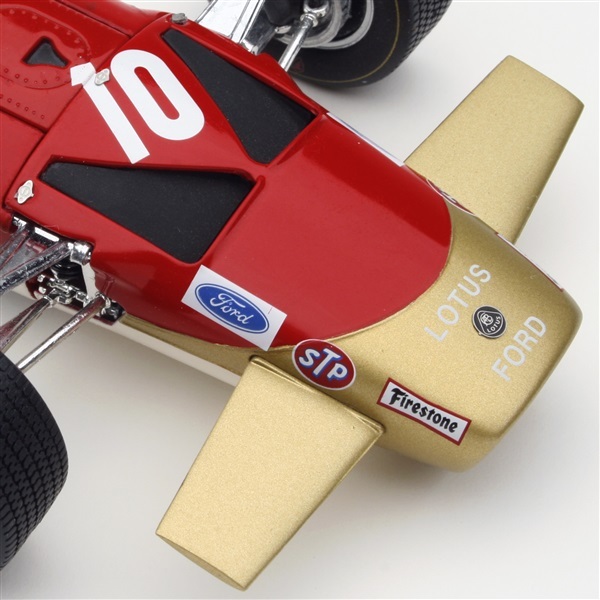 This potent combination of Lotus chassis and superb body aerodynamics along with the narrow and compact size of the Cosworth Ford engine earned many a checkered flag. Great cars deserve great models! 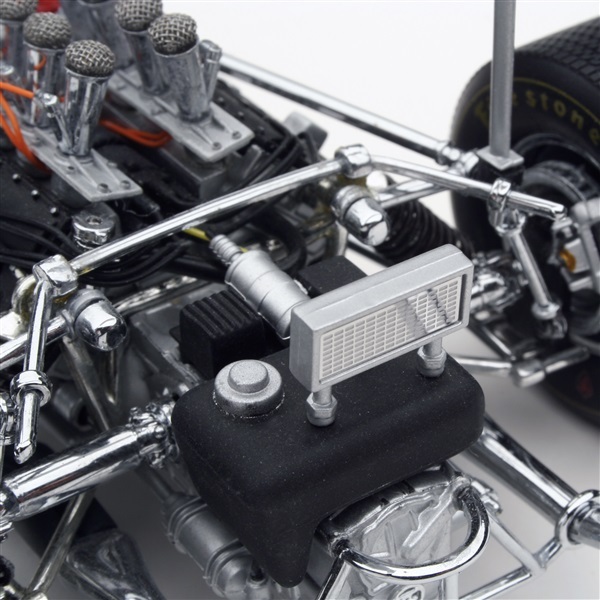 Exoto is pleased to present the Grand Prix Classics, a full line of collectors quality models designed in wonderful 1:18 scale. 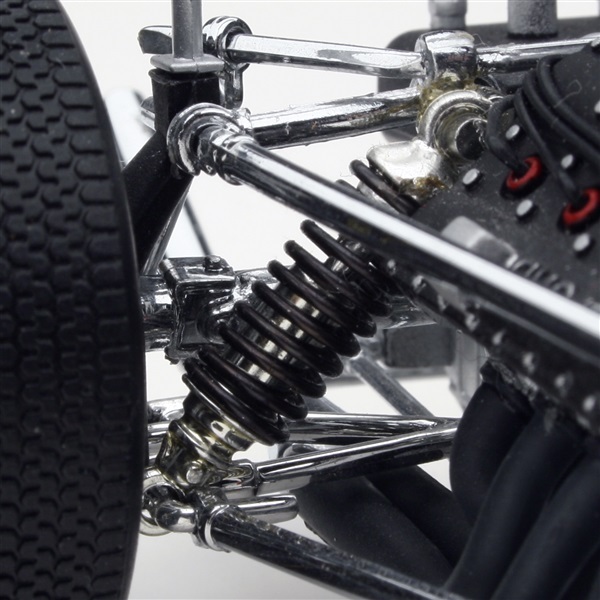 These incredible replicas feature over 130 individual parts with details that include fully functioning steering, working front and rear suspension, highly detailed driver and cockpit, genuine tread pattern on rubber-like tires, accurate wiring and plumbing, actual wire mesh gauze over the velocity stacks, individual cast exhaust headers and many photo-etched parts. Choose from five beautiful racers, each specifically designed with you, the enthusiast, in mind.